BMW 3 series has been made to give the users a sports car feel as well as have a family car use. The one facelifted the last cam with a bigger size yet with good efficiency. Another worth mentioning factor was the fuel consumption reduction. German makers are known for producing perfect items and BMW is no exception. You can criticize other aspects but you cannot criticize its quality and the driving standard. 320d is also a trendsetter as any other BMW and play the role of a trendsetter. Although many others have introduced advanced technology and lavish interior and exterior no one can still match its driving dynamics. BMW engines are one of the standouts when talking about the driving aspect. Even the smallest one can give you the feel of a higher trim and even if they do not reach the speed of higher trims, they give a smooth and quick response. 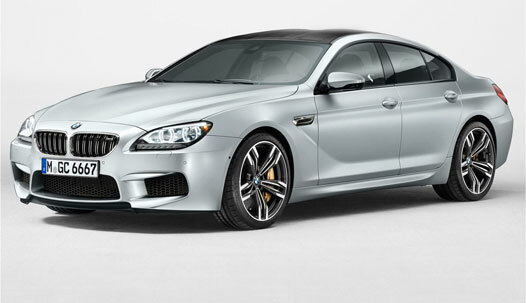 Find BMW reconditioned engines for sale in the market easily so that keeping one is not a problem. You also get the facility of BMW 320d engines supply and fit so that the owner does not have to worry about this work also. 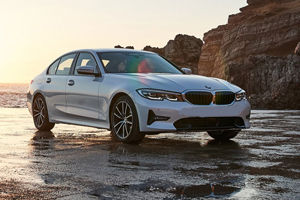 With the capacity of BMW 320d 2.0-litre engine, it produces the power of 135 kW. The torque of 380 Nm can be obtained from 1750 rpm. This is an impressive figure as the power of engine starts to show itself from such a low level. It is a low fuel consuming vehicle and there are certain factors which aid it in doing so. The automatic start/stop system, brake energy generation, electric power steering, lightweight, low resistance tires, low friction oil and the exterior design which is better in aerodynamics are all involved in this low consumption. The engine is efficient and like any other BMW, this is not a boring car. You cannot categorize a BMW in an inefficient car. No matter what car you are riding it shows the quickness in movement associated with the brand. So even in this mid-range trim of the 3 series you are going to get the sporty nature on which this series is based on. Also, the engine is quiet, it never complains about the harder pull and easily carries 5 adults in it. Well, you will not be dissatisfied with this department also. This is a rear wheel drive and it delivers an even, accurate and pleasant journey for the passengers as well as the driver. This means that the car will remain in control and balance all the time no matter the road is straight or twist. As the journey commences on the spot so is the stop. Breaks are nothing less than perfect and there is no delay in the process. The six-speed automatic gear change works well with the engine and distributes power as required. The gear changes unnoticed and the ride is not hindered by any uncertain or slow movement. Whenever you talk about styling there is the typical BMW styling present in every car. And this is not a bad thing either. Every brand has this and it becomes the landmark of the company. 320d also has that sense of familiarity in it. The seats are comfortable and spacious inside adjusts the front and rear occupiers with ease. There is no issue of space here and even the tallest one can fit comfortably in the back. The controls are in reach of the driver and the 6.5-inch screen can be operated with the iDrive controller easily.